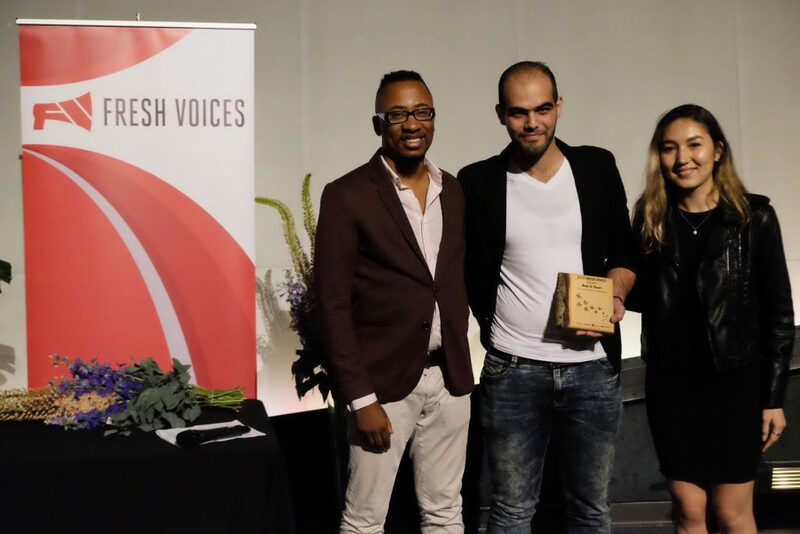 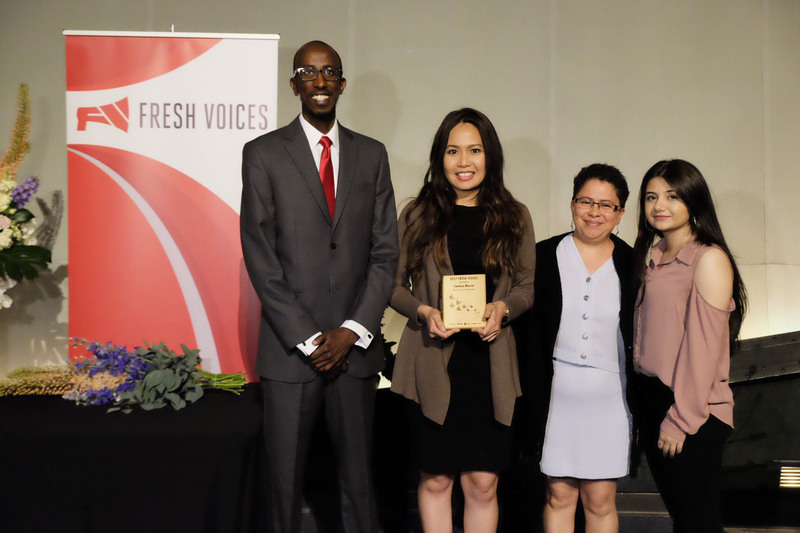 On Monday, June 19th, over 200 immigrant and refugee youth gathered at Science World for the 2017 Fresh Voices Awards, a partnership between the Vancouver Foundation, Michaëlle Jean Foundation, and Vancity Credit Union. 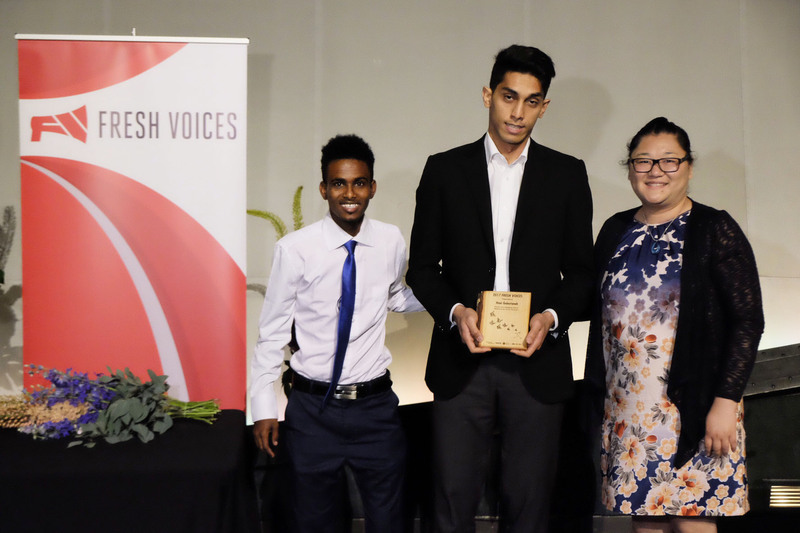 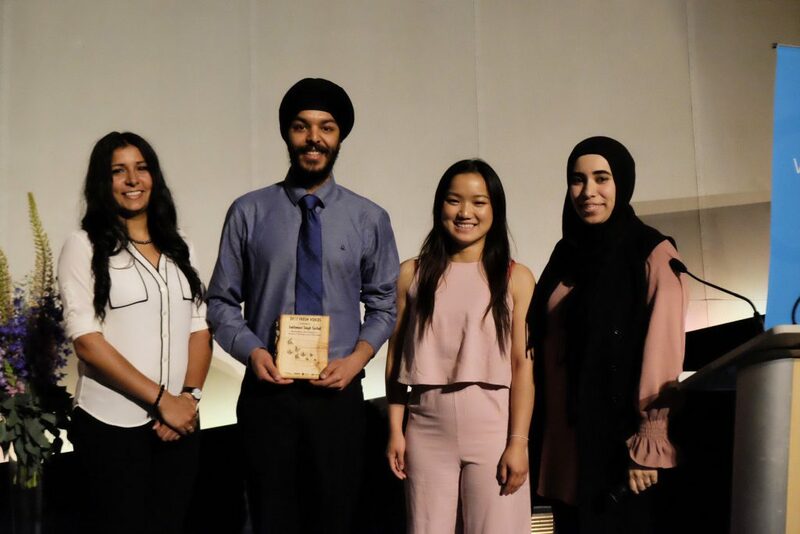 The awards recognized the leadership of newcomer youth who, in British Columbia and across Canada, are working to advance social change based on themes and priorities such as immigration, education, and cross-cultural dialogue. 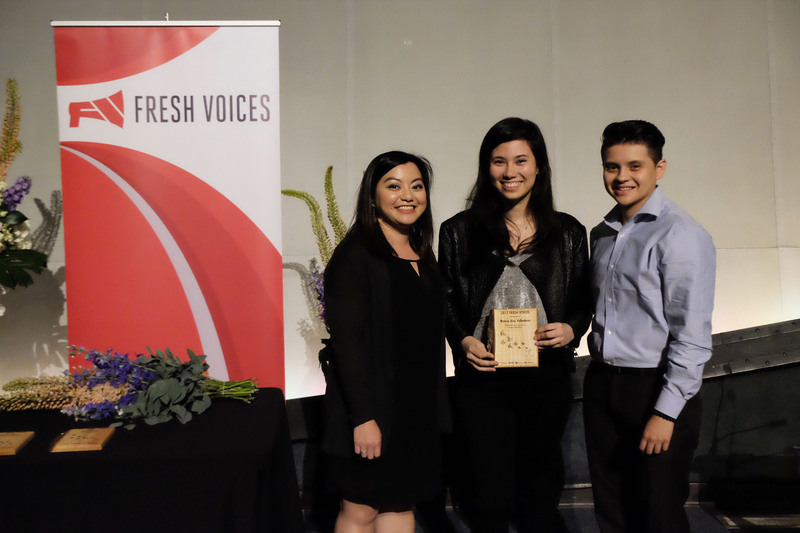 Awards night was full of inspiring poetry and film, wise words from speakers like Roksana Mun, and celebrations marking the impact young immigrants and refugees are making in BC and throughout the country. 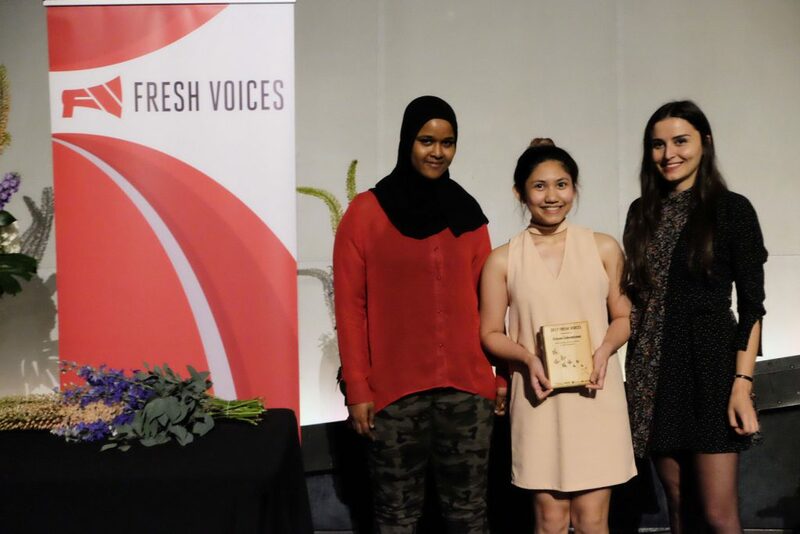 As Fresh Voices Youth Advisory Team member Yansie Ardon put it “We had a lot of amazing nominations this year, and we wish we could pick them all!’ Fresh Voices wants to acknowledge all the amazing nominees and give a big THANK YOU to everyone who came together to make it a memorable night. 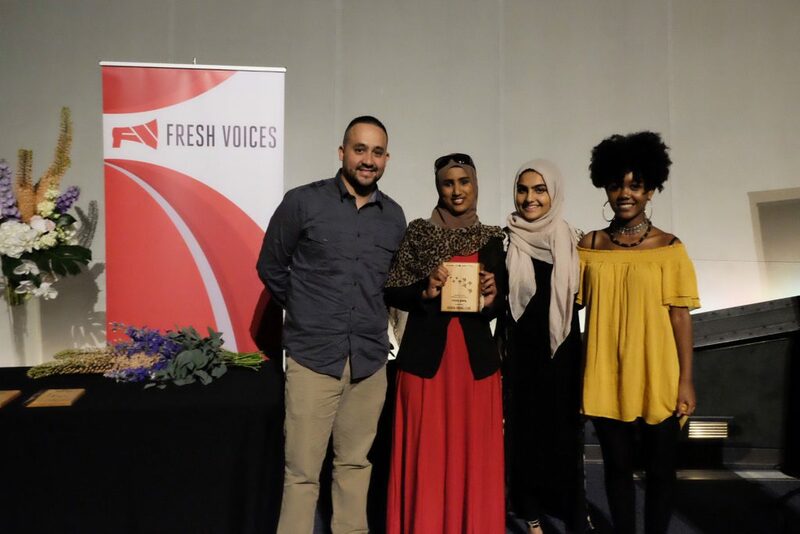 Recent immigrants are disproportionately impacted by poverty. 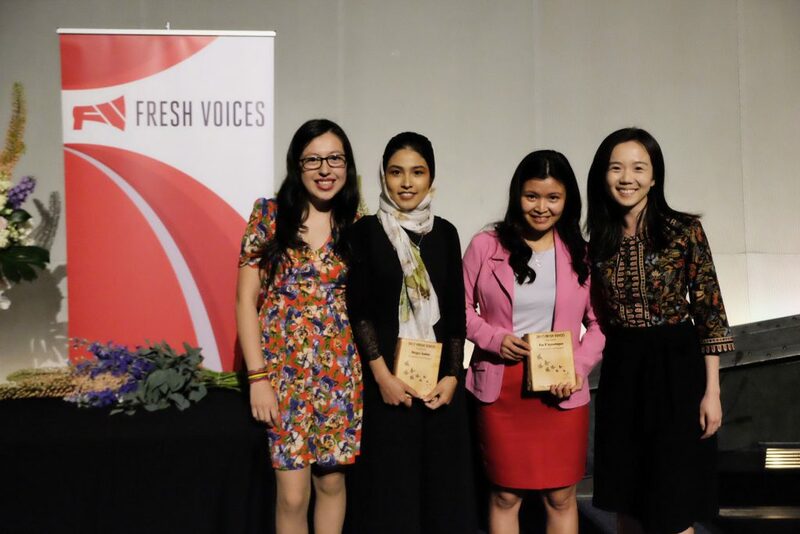 We are three times more likely to live in poverty than Canadian-born persons.